Today, Breathe Salt Rooms has four luxurious locations in New York City and remains the first and only dry salt therapy brand in the New York metropolitan area. Ellen and Gary Patrick opened their debut salt room in Manhattan where they began offering dry salt therapy to clients across the city and helping to promote respiratory and skin health, combat stress and improve their overall health and wellbeing. Today, halotherapy can be enjoyed at any one of Breathe’s centers- together with meditation, sound baths and yoga. Dry salt therapy also continues to be a popular choice of treatment for busy urbanites who want to sleep better and feel better. Salty Yoga at Breathe Salt Room is a very unique and profound healing experience. 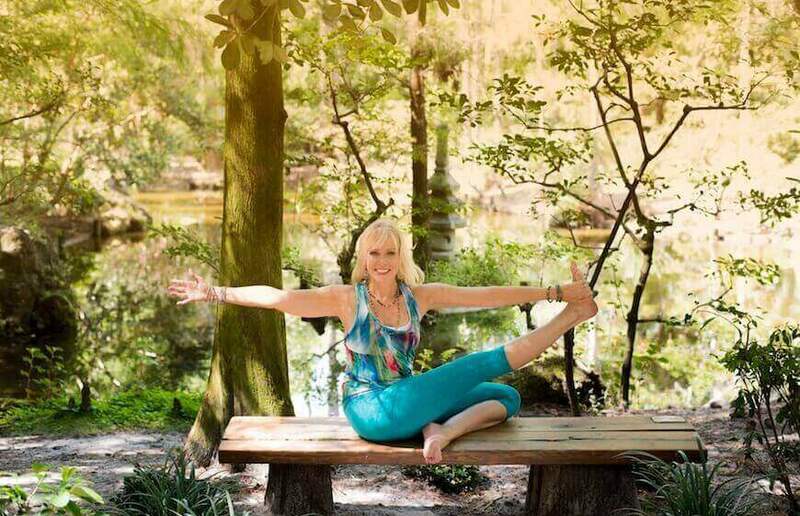 I started practicing yoga over 30 years ago when a back injury sidelined my career as a professional dancer. At that time, yoga kept me in shape and helped me heal from my injury and dissipate the pain. When I decided to become a yoga teacher 16 years ago, I knew my teaching focus would be therapeutics. Since my first teacher training, I have completed 3 other teacher training programs, as well as a 2-year Yoga Therapy certification. 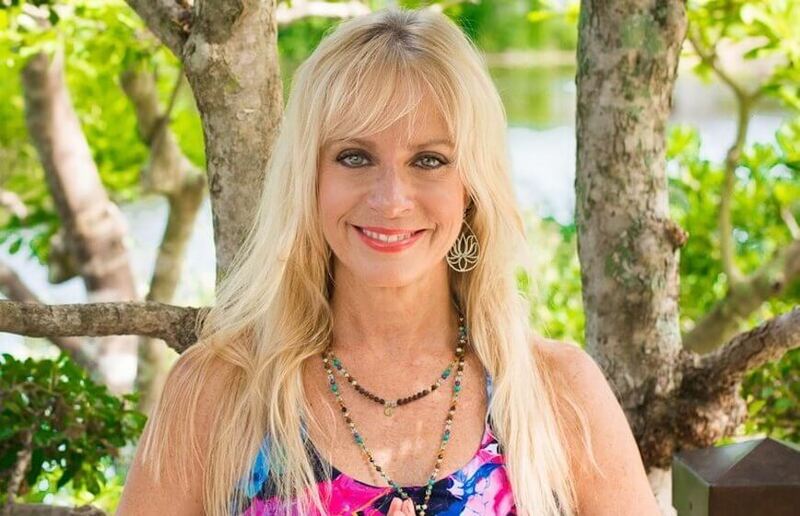 I owned and directed a yoga studio, The Yoga Sanctuary, for 12 years, and am now teaching yoga to special populations like cancer patients, veterans and Alzheimers patients. What challenges have you faced launching a fitness/health concept in NYC? Dry Salt Therapy is a fairly new healing modality in the United States. Although it’s been around for several hundred years in Europe, it has been challenging to educate the public on a new holistic modality that will support their well-being. In addition, I have found during all my years as a yoga teacher, that most people don’t breathe properly. Since the major benefits of dry salt therapy affect the respiratory system, it is vital that our clients understand how to maximize their breathing function and capacity. As a result, I developed and offer Salty Yoga classes which help our clients understand how to breathe better and prepares their bodies for that function. What are the key benefits of practicing Yoga? The benefits of practicing Yoga regularly are endless. Starting with the physical, yoga will keep you strong, flexible and increase range-of-motion. On a physiological level yoga can help to reduce the symptoms of acute and chronic diseases like cancer, MS and lupus by increasing the detoxification process, reducing pain and stimulating the immune system. On a psycho-emotional level, yoga will calm the nervous system and help reduce anxiety. 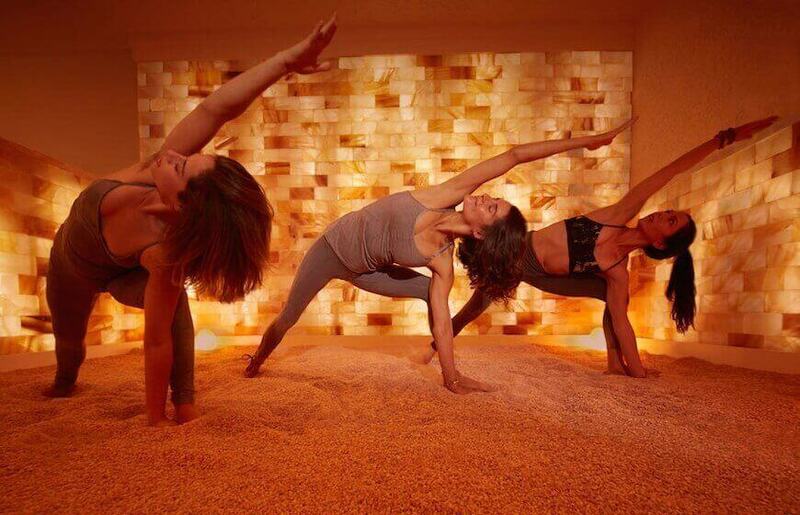 Why may yoga practice be better in a Salt Room? Salty Yoga at Breathe Salt Room is a very unique and profound healing experience. A yoga practice, in itself, relies heavily on deep breathing. As you breathe deeply you’re nurturing yourself with a more efficient respiratory experience as well as managing your stress levels by relaxing your nervous system. Now imagine doing this in a Salt Room where small particles of salt are aerated into the room. Salt is naturally anti-inflammatory, antiviral, antibacterial and antifungal. As salt is drawn into the respiratory system, inflammation from irritants is reduced, viruses and bacteria are destroyed and mucous is dried out resulting in a detoxification of the respiratory system. And on top of that, you’ll emerge with an amazingly glowing skin treatment as salt is a fabulous exfoliant! Where do you import the salt from? There are many different types of salt. The Salt Room at Breathe is covered in pink Himalayan Salt, which we import from Pakistan. We choose this salt for our décor as it is aesthetically beautiful. In addition, out of all the different kinds of salt, it emits the most negative ions which are relaxing (positive ions come from electronic equipment and are agitating). The salt that is aerated into the room and inhaled into the respiratory system is pure NaCl. We order this from the same source that hospitals use for saline solutions. Because salt is antiseptic, the salt room is very sterile and needs very little maintenance. We maintain the room’s cleanliness on a daily basis by raking the floor and cleaning the salt off the chairs. Which treatment is the most popular at Breathe and why? At Breathe Salt Rooms we offer a selection of treatments to suit an individual’s preferences. Some people prefer the salt bed because it offers an opportunity to experience the therapy in a more private setting. This is important for those who suffer from skin conditions like eczema and psoriasis as it may require the removal of an article of clothing. In the salt room, clients are comfortable and remain fully clothed while soft music and negative ions soothe their mind and the salt detoxifies their respiratory system. Salty Yoga offers clients the added benefit of preparing their physical bodies for a more efficient breathing experience by conditioning the primary and secondary muscles of respiration. So whatever your flavor may be, Breathe offers the variety from which to chose. What are the Sound Baths? The Sound Bath experience creates a profoundly unique meditative experience for the clients at Breathe. Beautiful, soothing music is created on crystal singing bowls that helps clients relax their worried minds. More and more scientific evidence is being found on how meditation reduces stress and retrains the brain to be more positive and happy. At Breathe Salt Rooms we add the additional healing benefit of Dry Salt Therapy while our clients are deeply relaxing to the sound of calming music. How often do most clients come to Breathe? Breathe Salt Rooms will continue to educate the public about the amazing, natural, healing qualities of dry salt therapy as well as offer wellness classes within the dry salt therapy environment to support their well-being. We will continue to hone our skills in delivering a top-notch customer experience so clients will feel comfortable in trusting us to support their health objectives. As more and more people discover this relaxing approach to health and well-being and using a salt room therapy, we have plans for futher expansion.